There’s a lot to look back on during this eventful time at our newspaper. We had our first fundraiser, we started up an internship program, we won a design award, we debuted our website, Facebook, Twitter, Tumblr, and we delivered ten solid issues with great content. This was also my first year as Managing Editor of Nikkei Voice, and it’s been a wild ride learning a whole new side of what it means to be Japanese Canadian. Every month, Nikkei Voice writers bring Japanese Canadians around Canada the latest news and events in the Nikkei Community. We’re indebted to our many contributors as our newspaper wouldn’t be the same without them. Here are some of the best stories from this year. There are few sports stars who impacted Torontonians as Munenori Kawasaki did this Blue Jays season. The Japanese player beguiled fans with his antics and attitude, and Nikkei Voice was lucky enough to have a chance to sit down with him for a quick talk about baseball, the Blue Jays, and Japan. And now Munenori has a one-year contract with the Blue Jays in 2014, so maybe it’s about time we do a followup with him. 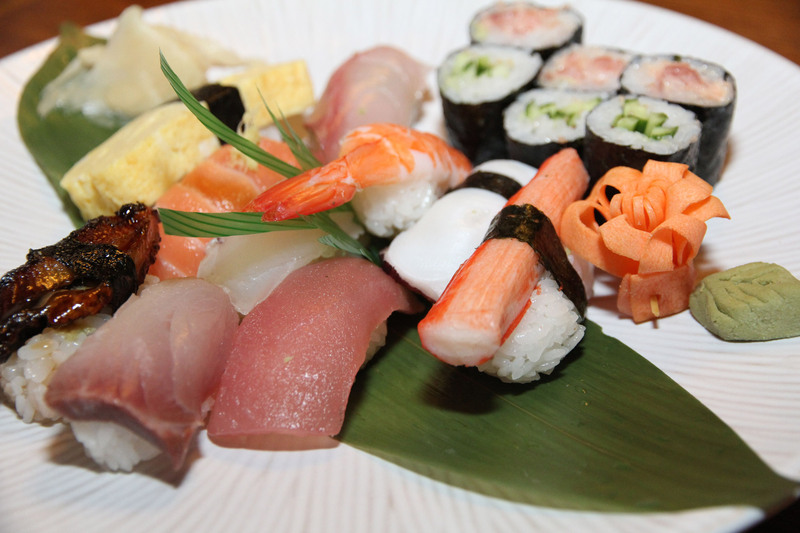 Some restaurants have a kind of charm that’s one of a kind, and that was Mikado’s. Located on Laird in Toronto, the small Japanese restaurant was open for 35 years before owner Keiichi Masuda decided it was time to hang up the shamoji. It’s always a shame to see such a good restaurant close, but with a legacy like Mikado’s it makes you wonder if Masuda will one day decide to open up another little store somewhere else. Almost in direct contrast to Mikado’s is this story about Teppan Kenta on Wellesley Street in Toronto. 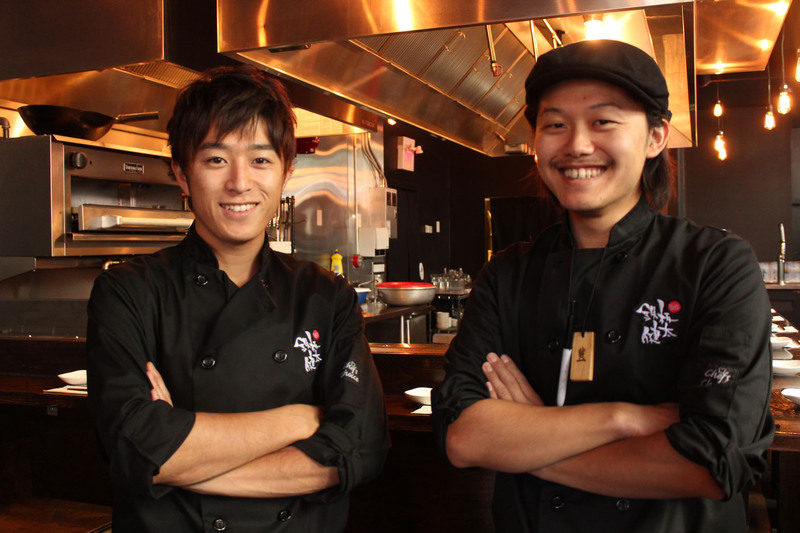 Owner Kenta Taniguchi is a young dynamo in Toronto’s Japanese food scene with a playful restaurant and traditional Japanese offerings. One look at the gallery down at the bottom of the article is enough to make you drool. 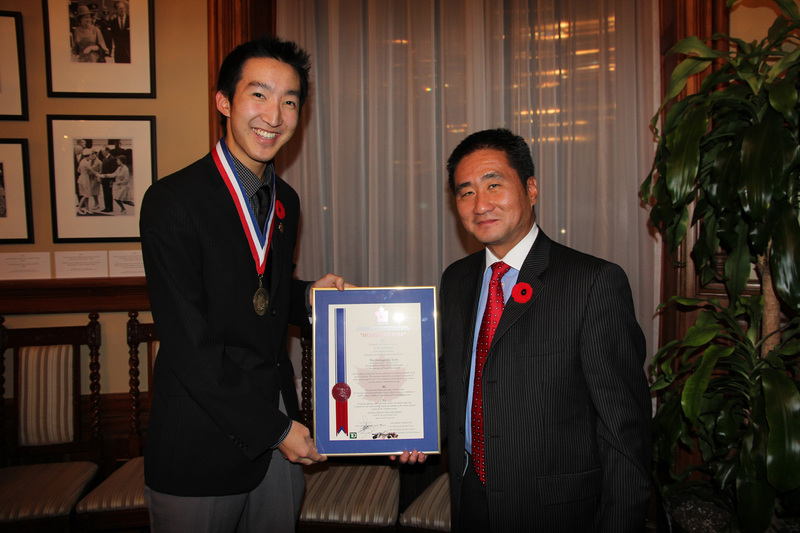 This was also one of the first articles written by our intern Riku Kaneko who has since gone back to Japan. We miss you Riku! 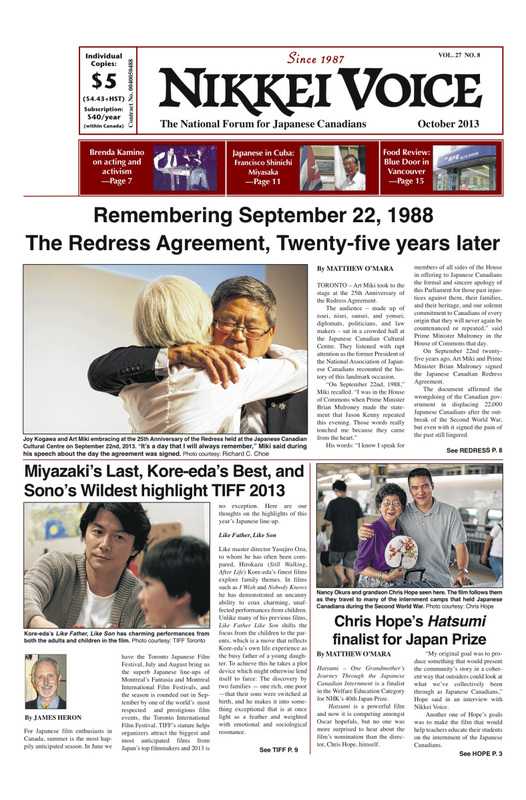 Twenty-five years ago, Japanese Canadians received an official apology from the Canadian government for the treatment Japanese Canadians received during the Second World War. Homes were taken and sold, boats were moored and auctioned, and lives were destroyed. On this landmark occasion, the many people who fought for Redress spoke out about the struggle and what it means for Canadians today. I had a chance to sit down with Mark Hashimoto, who portrays Judge Masa in marblemedia’s latest game show, to talk a little about Japanizi Going Going Gong. In terms of personality, Hashimoto was about as far from being like the Judge as you could imagine and learning about his time spent in Kyoto as a apprentice in the hospitality field was equally interesting. However, articles on Japanizi also stirred a bit of discussion about its representation of Japanese culture. Is the show racist? It’s a question that creates all kinds of reactions from viewers. Take a read and you decide. There’s something about a sharp knife that stirs a kind of awe. 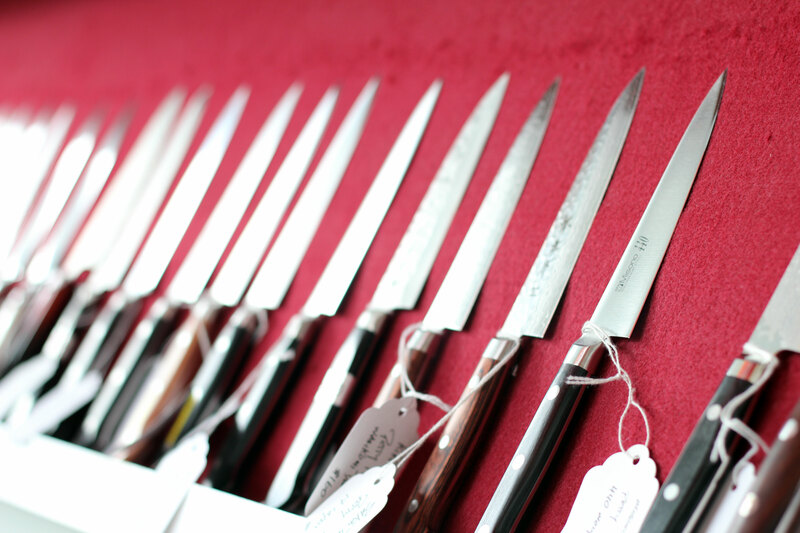 Perhaps it has to do with a childhood where images of samurai and ninjas were about the coolest thing your brain could conjure, but there’s a real artistry to keeping knives sharp. I had a chance to sit down with KNIFE owner Eugene Ong to talk about his shop, sharpening knives, and why customers can come into his store and leave with a reasonably priced knife. 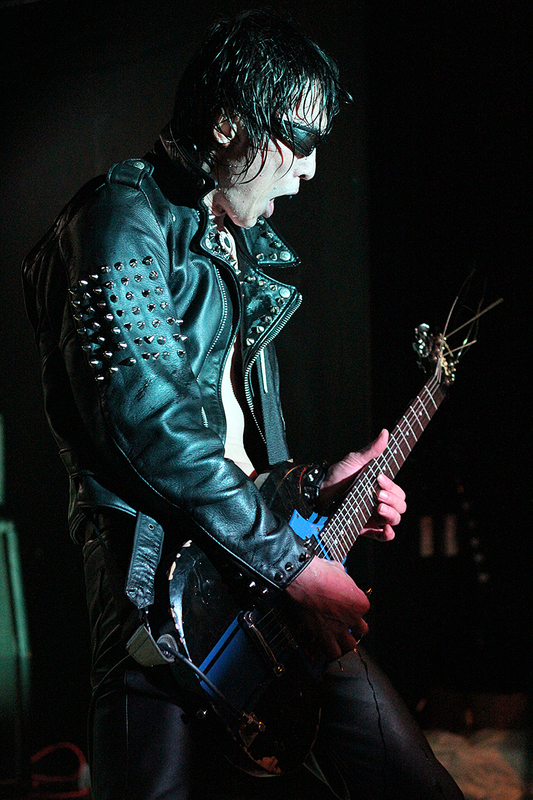 Guitar Wolf’s Seiji up on stage at the Hard Luck Bar in Toronto. Probably one of my favourite interviews from this year was with Seiji from Nagasaki Garage Punk band Guitar Wolf. Known as the loudest band in the world, Guitar Wolf made a stop in Toronto to blast the eardrums of their audience. Creating a pyramid of audience members, teaching a few people how to play guitar, and having fun was all part of the audience and Shoko Uchiyama did an amazing job telling the story. On a cold winter day, Kaori Fujishima, Saki Nakano, and Yui Banno set out for downtown Toronto to put together Nikkei Voice’s first Street Snap. It’s a chance for us to interact with people out there in the city and we’re looking forward to putting together another Street Snap soon, but maybe when it’s a little warmer out. These are just a few stories we’ve put onto www.nikkeivoice.ca and there are many more you can find over at our Facebook Page and in our newspaper. Be sure to stay tuned in 2014 as we bring you even more amazing content and maybe even a few surprises.